Can Screen Time Cause Speech Delays? Home/Apps and Technology, Autism, Expressive Language Delay, Functional Communication and Nonverbal Children, General Resources, Late Talker, Therapy for Late Talkers/Can Screen Time Cause Speech Delays? So what’s the big deal? Just about every American has a TV in their home. Most three-year-olds can work my smart phone better than I can. And I’m constantly seeing parents bring their 5-year-old to superhero movies that are clearly intended for adults. Screen time for children in American is EVERYWHERE! Surely it can’t be that bad, right? Well, let’s take a look at screen time and speech delays. How are all those screens affecting your little one’s language development? First, let’s define the term. Screen time refers to any time that your child spends with a screen in front of his face (one that’s turned on, anyway). That includes a television, movie theater screen, smart phone, tablet, computer, hand-held video game device, DVD player in the car, or anything else with a screen and moving pictures. It doesn’t matter if your child is watching an educational video or playing a game, screen time is screen time. How Does Screen Time Take Away from Language Development Time? Children learn to talk and communicate through interactions with other people. That’s the way it has always been and that’s the way it will continue to be, despite any new technology that comes our way. The first several years of life are crucial for your child’s language development. 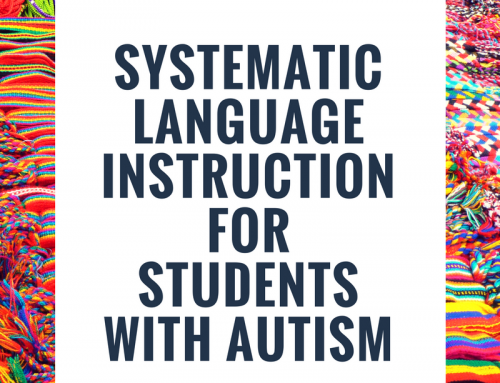 It is when their brain is the most receptive to learning new language and is building communication pathways that will be with them for the rest of their lives. Once that window closes, it is much more difficult for someone to learn and develop language skills. That’s why it’s harder for you to learn a foreign language as an adult and those rare children who were raised by wolves in the woods have a hard time learning to communicate efficiently. Every minute that your child spends in front of a screen is one fewer minute that he could spend learning from your interactions with him or practicing his interactions with you. Screen time takes away from time that could (and should) be spent on person-to-person interactions. So what about those awesome videos that are supposed to teach your child vocabulary, or sign language, or to read? Well, they are still just videos. Yes, vocabulary and reading are important parts of communication, but they are a very small part of a much bigger picture. Communication is about interacting with others, the give and take. The speaker responds to the listener’s body language and responses to change and adapt what they are saying. The listener uses non-verbal cues to gain deeper meaning from the speaker’s message. There is so much more going on than the list of vocabulary words that the lady in the video is teaching. Videos do not replace person-to-person interactions for teaching language or communication. Ok, so it won’t help them, but what’s the harm? So glad you asked! Researchers are beginning to publish more and more studies about the detrimental effects of screen time on language development. This study by Chonchaiya and Pruksananonda found that children who began watching tv before 12 months and who watched more than 2 hours of TV per day were six times more likely to have language delays! Yikes!! This study by Duch et. al. also found that children who watched more than 2 hours of TV per day had increased odds of low communication scores. There are more studies out there that continue to show that watching TV early and often increases your child’s chances of having a speech delay. That could mean late talking and/or problems with language in school later in life. Increased screen time has also been linked to attention problems, short-term memory problems, and reading problems. All of which can play into your child’s ability to learn language as well. But screen time is a life-saver! I need it! I’m a parent, too. I get it! Sometimes you just need a break. Sometimes you’re ready for the quick fix to your child’s boredom, or crying, or hyperactivity. Sometimes you just want something that will get your child to sit down and be quiet for two minutes so you can have some peace or get something done for once in the day. Sure, maybe you can actually go to a nice restaurant without your child making a scene if you play a movie on your I-Phone for him. Yes, you probably can across town without screams if you prop the I-Pad up in front of the car seat. Are those few moments of peace worth risking your child’s language development? Screen time may not harm your child at all, but are you willing to take the risk? What if my child already has a language or speech delay? There is no way to tell if too much screen time caused your child’s speech delay or language problems. Most likely, it was a combination of factors, so there’s no use blaming yourself or feeling guilty. However, continued overuse of screen time could be making your child’s language delay worse or keeping it from getting better. Some children do completely fine with tons of screen time. Some children learn to count, name things, or even read from screens! 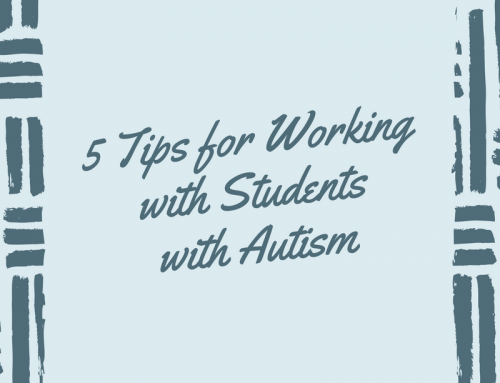 However, your child is having trouble with communication so he needs every opportunity possible to hear words spoken to him (by a real person, not a screen) and to practice using sounds and words himself. I’m not saying that screen time caused your child’s language delay. I’m saying that it could be making it worse. Is it really worth risking it? So what do I do? How much is too much?? The American Academy of Pediatrics discourages TV and other media use by children younger than 2 years and encourages interactive play. Of course, your child isn’t going to suddenly stop talking if he sees a few minutes of television so don’t worry if an emergency situation pops up and you have to plop your little one in front of a screen for a few minutes. But don’t make a habit out of it. After 2 years of age, you can lighten up a little, but you should never go above 2 hours per day. Try to keep it much less than that. How much can my child (older than 2 years) watch if he has a language delay? My professional opinion? None! At least for a little while. Try cutting out screen time with your child entirely (if you can) for 30 days. See if you notice any changes in his communication. After that, you can reintroduce short amounts of screen time to see if there are any adverse effects. When you do reintroduce it, you may find that your child’s attention suffers or that she talks less when allowed more screen time. Then, you may want to consider continuing to have no screen time. If your child seems to do ok with short amounts of screen time, it’s probably fine to let them be. But, don’t get too carried away. Keep screen time to a minimum. My child is addicted to his screens! How can I remove them? If your child is highly addicted to screen time, it’s unreasonable to believe that you’ll be able to get him or her to stop cold turkey. Start by setting some rules about the screens. If your child is old enough to understand, talk about why you are limiting screen time and share with him some of the research about what it can do to a young brain. You can set up your screen time rules however you want. You can try limiting the maximum number of minutes the child is in front of a screen per day. Or, you could limit the times that he is allowed to use a screen (for example, only between 4:00 and 6:00). You could also set parameters on what types of screens or uses your child is allowed to watch, such as what shows or what devices. Start off by only limiting your child’s screen time slightly. Then, gradually increase the limits until you have reached the desired amount of screen time. Also, make sure you replace the times that your child normally would have been using a screen with one of the alternatives below. What can I do with my child instead of screen time? Try some of these alternatives to screen time that are way better for your child’s development and will help you build a better relationship with your child as well. Keep in mind it’s important for you to put away your screens when you interact with your child as well. Put away your smart phone! Work or Candy Crush can wait. Talk with your child. If your child is only giving you one-word responses, try asking more specific questions (like “who did you eat lunch with”) instead of open-ended questions (like “how was your day?”). Waiting Cards: Language-Boosting Alternatives for Screen Time: So many times we hand over technology when a child needs to wait. Learn how to teach kids to wait using waiting cards. **Keep in mind, the key here is that you are replacing the screen time with quality time with you or another caring adult. That will help ease the transition! I’m sure your child will resist the lack of screen time at first, but keep in mind that you are doing her a huge favor by limiting her exposure and creating wonderful new experiences that will open her mind, improve language development, and maybe even expose her to some new hobbies or interests that she never would have found otherwise. I know this is a hard thing to do, but it is so worth it in the end. You can do it! Get answers to all of your questions about AAC, autism, and more by joining The Speech Therapy Solution, Carrie Clark’s premium membership program. You’ll get access to all of Carrie’s training videos and printable therapy materials, plus a monthly webinar and an exclusive Facebook group! Join today! 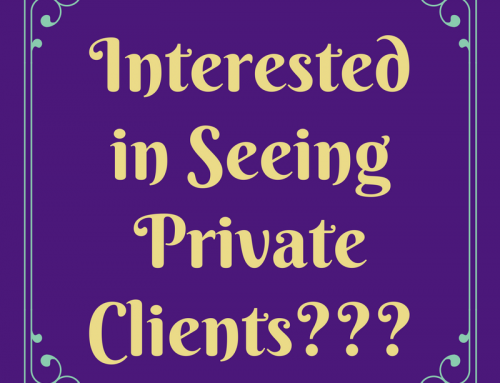 Interested in Seeing Private Clients??? My daughter is 2 and 5 months old and watches between 1 – 2 hours a day, though not all at once. She only watches educational stuff and I try to watch each show with her at least once and talk about it with her. We also do art based on the topics in shows. I’d planned when she was a baby to allow her no screen time at all, which is unreasonable, of course. We even gave away our tv. We made it until she was nearly two, when we decided to allow her to watch some PBS shows on the iPad so we could get her to sit down in her car seat. Since the app needed internet to work, it shut off after we left our house, but I still felt bad about it. When she turned two it only got worse and seems to continue to do so. We moved and shortly thereafter, I had another baby and sometimes, tv is the only thing that keeps us clinging to sanity. Her verbal skills seem to be super advanced, she loves books, and she seems to have a great imagination (she’s pretended to be a dog for the entire last month, which includes barking “hello” at other kids, licking herself, and pretending to pee on fire hydrants), so I’m probably being paranoid. It all makes me wonder how parents managed at all before tv. I agree, having the screens on can be a blessing at times! I think it’s great that you are spending so much time doing other activities with your child and helping her to process the information she received from the TV, instead of just letting her zone out. As long as your daughter continues to develop normally and you’re keeping it below the recommended 2-hour-per-day limit, then I’d say you’re doing just fine! Excellent article. Will print and keep. That is great! I am glad that we can help! Its a very beneficial article. Very impressed. Keep it up! Thanks for the article and links to the research. Very useful. Could I ask please for the references that support the claim of “increased screen time is also linked to attention problems, short term memory problems and reading problems. Do you have any recommendations that don’t require giving you money? 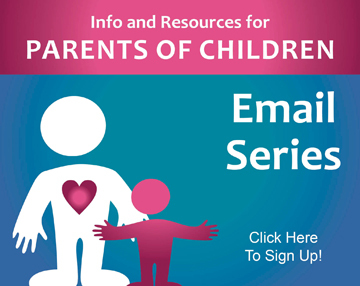 Here is a link to a page full of free resources. Hope this helps! Wow, this article is really great and informative. I wish I known this when I was a kid. 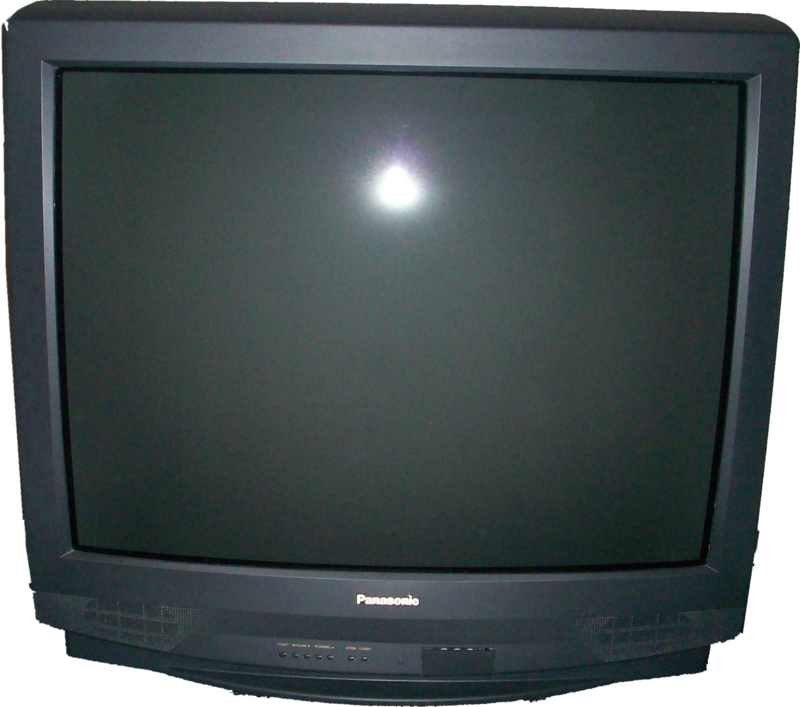 My parents were young at the time and they were first time parents but I do remember spending a lot of time in front of the tv. I have a speech impediment but I don’t blame my parents not at all but I do notice after spending less time around the screen that my speech sounds slightly better. I’m defiantly going to take this information and apply it towards my life and hopefully I can develop more of my speech and speak more clearly. I’m 33 years old by the way. Thank you so much for this article it answered ALOT of questions I had in my head. I have a 17 month old, he use to babble and say at least three words by the age of 12 months from 12 months and up he started with his brithers ipad he was on it alot And I didnt think it was a problem. Until i noticed that he has stopped making noises lack of concentration not respondibg to his name and no eye contact. I read alot of things online wich got me worried my son use to be exited and pointing at everything. So when inread your article i cut of all of electronic devices for 30 days I did see improvment better eye contact and now responding to his name and more babbling, but still no words and no pointing when he wants something. Thank you . I’m not a parent but I’m reading this article because of my concerns for a friend’s 3 yr old toddler who has speech/language delay. I got concerned when I saw him in crib when he was about 12 months or more. The mom told me he’s pretty much calm in crib and likes to watch tv. I’m sure they let him watch tv most of the day. She also feeds him solid food in the crib. my son is four years and three months. when he was two he could count to ten and now can speak all the alphabets upper and lowercase, counts number till hundred and knows all the colors. but shows signs of echolalia. he answers by repeating the question first and then gives answer. he watches YouTube videos ALOT and keeps repeating them as scripts. do you think cutting on screen time will help him minimize echolalia and talk normally? 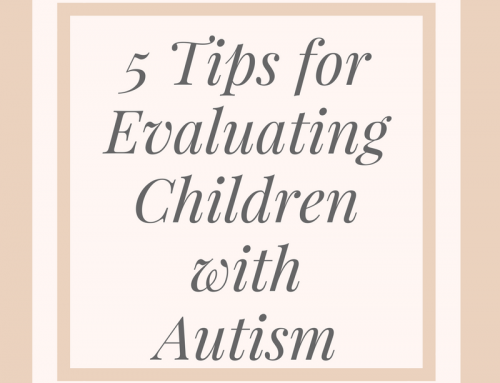 Here is a blog post that Carrie wrote on Echololia and one on screen time that may be helpful to you. How do we access your materials and watch videos if we remove all of the screens? Hi, Amanda-I think the point of Carrie’s post was to limit screen time. In this day and age we all know it’s tough to take screen time away completely. Please let us know if you need any further help. Spend less time planning, more time with the kids! 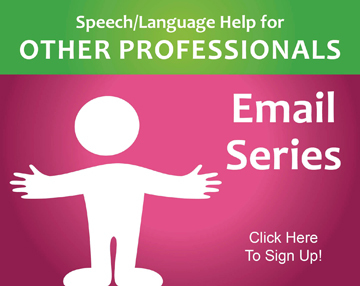 I've Planned and Prepped Your Speech Therapy Lessons for You! 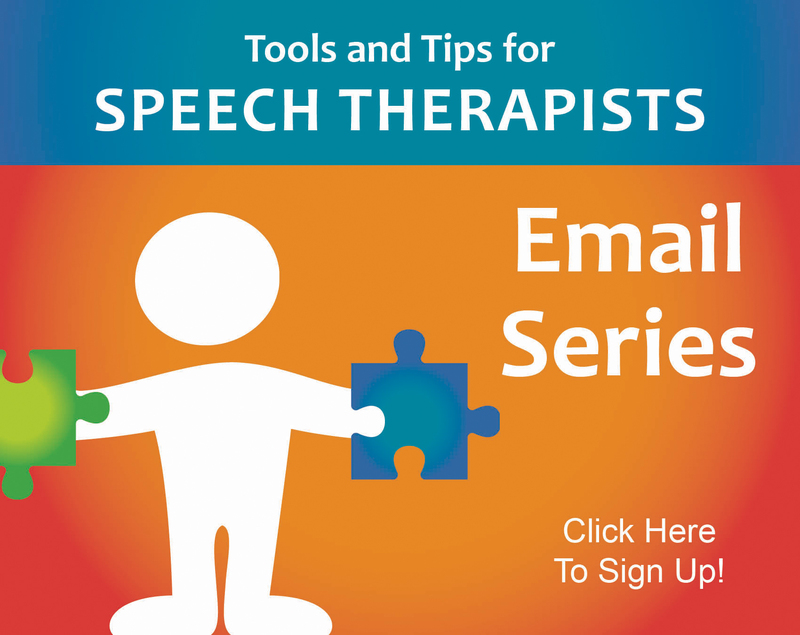 Free speech therapy resources and activities sent directly to your inbox! Join hundreds of thousands of people on our email lists! Copyright 2016 Speech And Language Kids | All Rights Reserved | Designed by Maximum Media, Inc.